Glueck Am Stiel | Reduce Stress, Regain Focus, Better Day. 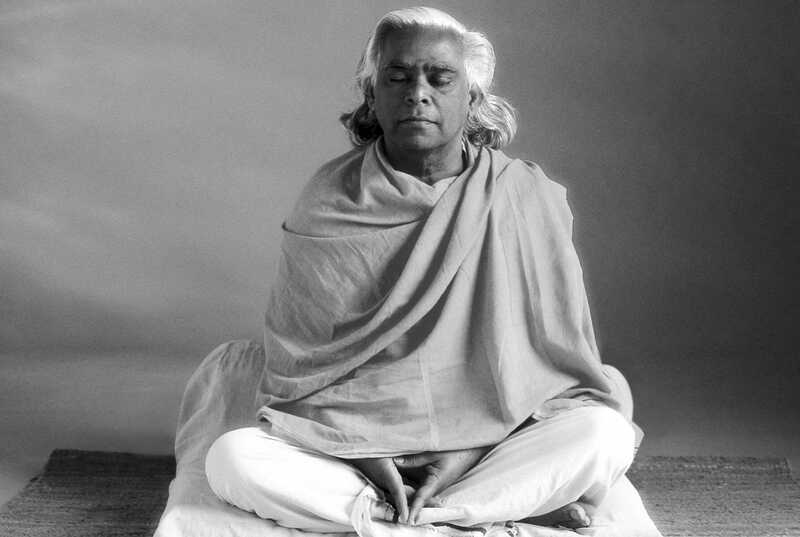 Vishnudevananda was a great Yoga guru. The energy of ten rupees, as he said, prompted him to travel the world spreading the Yogic philosophy. Vishnudavananda was born in Kerala, in the south of India, on the last day of 1927. His family belonged to a high caste and his father was a Brahmin. These simple lines propelled Vishnudavananda to meet Sivananda in Rishikesh at the Himalayas on the banks of Ganges river. Sivananda taught humility to proud Vishnudavananda his guru. Vishnudavananda joined the Sivananda Yoga Center in Rishikesh and became a monk at the age of 20 years. He taught Hatha Yoga classes to many students including some Westerners residing in India. Their numbers kept growing. Vishnudavananda continued to learn from Sivananda for the following 10 years. One day the Guru entrusted to him an important mission: taking Yoga to the West. He gave him ten rupees and had him leave without knowing English beyond a few short phrases. Vishnudavananda traveled to Canada and opened the first of Sivananda Yoga Centers in Montreal in 1959. Other centers followed in the subsequent years. Some of them are in the Bahamas, California and New York. Vishnudavananda’s idea was to train new teachers so that they could spread Yogic philosophy around the world. Ringo’s joke reflects how impossible this posture seemed to them, but they did it! After this encounter, The Beatles contributed to the diffusion of Yoga to Western audiences. This is the reason why he is called “The Aviator.” During the era of political upheaval in the ’80s, he thought of a way to reduce tension through Yoga. He found a way by painting a plane with bright colors and called it “The Airplane for Peace.” He traveled to many countries in need of peace like Ireland, Egypt, and Pakistan in this plane. Despite announcing the flight and its peaceful nature, Soviet authorities arrested and interrogated him for hours after he landed in East Berlin in the middle of a farm. They sent him back to West Berlin with a cheese sandwich for lunch. Before his death in 1993, Vishnudavananda said everything he had done was all thanks to his Guru who gave him a life lesson in humility. Upon dying, following an Indian ritual, they placed his body in the Ganges River, which was the same place where Sivananda and Vishnudavananda met. When you roll out your mat, many yogis are most concerned with their sequencing, alignment, and breathing than they are with their outfit. While those things are certainly important aspects of a well-balanced and safe yoga practice, your outfit may play a bigger role in your routine than you think. It may seem shallow to some yogis that something as simple as what you put on your body could be just as important as the things you put into your body, but how does your outfit really affect the way you practice? The biggest priority (besides embodying yogic principles off the mat) for any practicing yogi should be safety. Your outfit can play a huge role in your ability to move through vinyasas and other sequences. Pants that bunch uncomfortably can take your focus off of alignment as you move around to readjust the fabric. Pants that are too long can cover the bottom of your feet, preventing a firm grip on your yoga mat in standing poses. The bottom part of your outfit is the largest culprit when it comes to compromising your ability to practice safely, but your top can play a role as well. Tops that are too loose can leave you exposed during inversions or forward bends, forcing you to contort your body out of the proper shape to prevent further exposure during class. Tops that are too tight can restrict breathing and comfortable movement. Having an outfit that fits you properly can make a significant difference in your ability to practice yoga safely. The way an outfit fits you is more important than the way it looks on you. Comfortable and safe movement are critical components that can’t be underestimated when selecting an outfit. Your outfit can play a role in boosting your confidence. There’s truth in the old adage that says, “When you look good, you feel good.” If your outfit makes you feel more attractive, look slimmer, or just generally gives you confidence in your outward appearance, you have more space to think about your practice instead of self-conscious concerns. Ultimately, it doesn’t matter whether your yoga outfit consists of high-waist Capri leggings with a crop top or yoga pants and a sweatshirt, as long as you feel good about the way you look in it. A quick increase in confidence can give you the courage to try harder poses or to remain in uncomfortable ones for just a few breaths longer than you usually would. You may see significant gains in your personal practice physically, which can carry over to psychological gains off the mat. If you find yourself more capable during your practice, the self-esteem boost could play a role in your performance at work, in your presence in relationships, and in the embodiment of yogic principles throughout your life. Thinking about the outfit you’ll practice in doesn’t seem like it should top your priority list when there are more pressing concerns that match your intentions and the basic principles of yoga. However, we think you’ll agree that your outfit can certainly influence the way you feel and your ability to practice safely. I believe that surviving healthy on the go has everything to do with meal preparation. Actually, surviving anywhere has everything to do with preparation. Here are a few ways in which I simplify daily meals. Take note, however, that change doesn’t happen overnight and you need to get a hang of things to make your days easier. It has also been scientifically proven that it takes 21 days to form a habit. So when deciding something is right for you, stick with it and be patient. Results will show in forms of you having more energy, being more positive, and being uplifted in your thinking, or even looking more toned and leaner. Food is our primary source of energy. I also believe that 80 % of healthy lifestyle derives from your food choices, here are some simple recipes with their healthy nutritional properties. I, for example, love hummus. That doesn’t mean I eat it all day, every day. But I stick it in my meal plan every second day for a different meal if I can. As it is a bean-based spread, it boasts with protein, carbs, and fiber and it is at the same time low in fat. It has the capacity of balancing out blood sugar levels. Beans are also full of antioxidants, vitamins, and minerals. Such spreads are not only super easy to make, but they also stay fresh in your fridge for days, and they don’t break a buck in your wallet either. The recipe is fairly simple. I like to start mine from scratch. Grind sesame seeds well to get tahini or sesame paste. Add a little olive oil for a smoother mixture, but any other plant-based oil works as long as you know its taste will blend in with the rest of the ingredients. Cook the pre-soaked garbanzo beans until they soften. Cool them and add some more olive oil, a little bit of water, a pinch of sea salt, a tiny bit of pepper and some ground red paprika and a clove of fresh garlic. Mix them all together in a blender and cool before serving. It is as easy as it sounds. 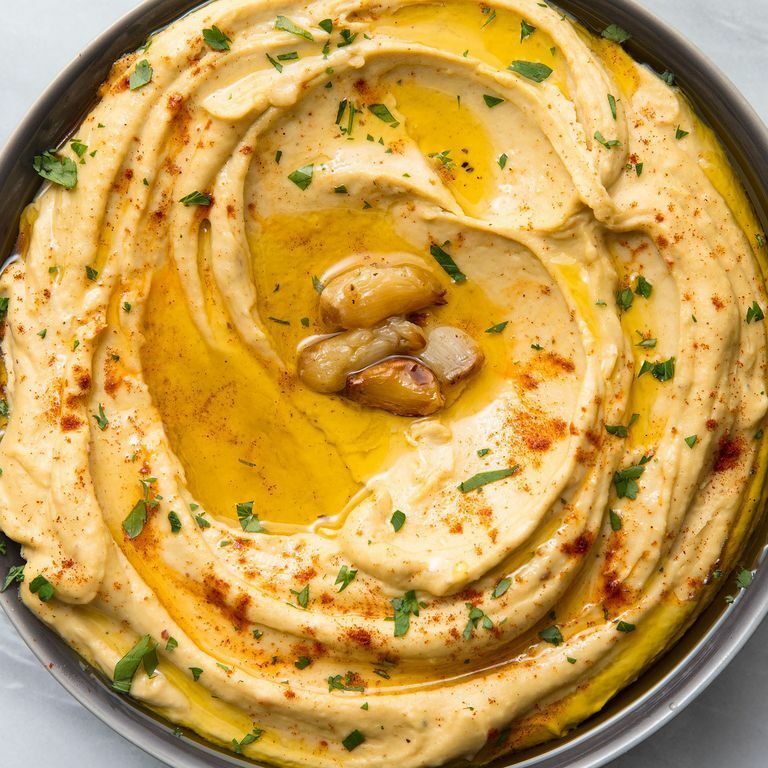 Hummus is a super easy, healthy addition to your menu as it only takes a few minutes to prepare if you don’t count the cooking time of garbanzo beans, which you can anyhow purchase pre-cooked and canned. It is moreover a great addition to fresh vegetable salads. Or to enjoy as a snack next to sliced cucumbers, bell peppers or tomatoes. It is so versatile that it can be paired with various dishes. A recent favorite of mine is paired with zucchini cookies (yes, cookies, you’ve read right). Use two regular sized zucchini, 1 cup of rice flour, 1 cup of crushed almonds, 1 tablespoon of olive oil, a pinch of salt and a tiny bit of baking soda. Preheat the oven, mix all the ingredients together well (if it’s too sticky add some extra oil), shape into preferred size bites and bake at 356°F for a good half-an-hour. Store in a tightly sealed container in a cool place. With the hummus spread or without, they can serve as a great appetizer or even dessert. They are cookies after all. Spreads, in general, are also convenient as they go well with various foods and you can take them with you wherever you go. You’ll become a rock star in your friend’s eyes when you show up at their picnic with this tasty treat. Sometimes other people say it best. They find a way to express a thought or a feeling in a way that makes perfect sense to you, or their words open a new line of thinking. Quotes can be beautiful, sad, or just philosophical. They can offer comfort when you are in need or express an emotion that you were barely aware of. Quotes can enhance every part of your life, including your yoga or meditation practice. Here are ten quotes to make you think about yoga, and life in a new and deeper way. 1. For those who are always looking for something, even when they are certain that they will never find it. 2. For those who are unhappy and don’t understand why. 3. For happy people and a happy world. 4. Beautiful words from the master of peace. 5. Words we all need to listen to and live by. 6. The point of yoga is never the pose, it is always the practice. 7. An idea that applies equally to life and yoga. Anything that is worth having requires that we work towards it. 8. Encouragement for those times when we feel like we can’t do anything right. 9. A reminder that we can always control our reactions to situations that are out of our control. 10. This is a reminder that not everything can be the way we want it to be, and we would be much happier if we would accept that. These are some yoga quotes that can improve and enhance your life and your yoga practice. Use them the next time you need a bit of inspiration or support. Congratulations! You’ve just had a baby, so enjoy every snuggle from that little bundle of joy. It’s probably a huge relief to finally be holding him or her after growing them for 9 months. Even so, after all the changes your body went through during those 9 months of baby growing, you’re probably excited to get your body back to normal. We all know that this can take time, and your body needs time to heal. If you had a vaginal delivery you can probably start doing light exercises as soon as you feel up to it, but you’ll still want to confirm with your doctor. If you had a c-section, check with your doctor before doing any physical activity. Once you get the go-ahead, yoga is a fantastic way to ease yourself back into exercising and building up your strength again. It can even help with the healing process, so let’s look into some different poses that can help you postpartum. Once you’ve received the go-ahead from your doctor and you want to start rebuilding your abdominal muscles, try doing a modified Navasana. Sit on your mat with your knees bent and your toes just resting on the mat. Use your abs to support your back. Hold your hands out in front of you just next to either side of your knees and hold the pose for about 10 seconds. As you become stronger you can gradually start lifting your feet off the mat to add intensity to the workout. All those hours of feeding and staring at your new baby can take its toll on your neck and shoulders. There are several poses to help with this. You can simply do ear to shoulder stretches to help alleviate the tension in your shoulders or you can utilize your mat and practice thread the needle pose. To do thread the needle pose, simply start in a tabletop position and then walk your left arm forward as far as you can. Once it’s in place thread your right arm underneath of it. You can even rest your right cheek on your right shoulder and relax into the pose. For both of these exercises make sure you do both sides equally! Last, to help with your leg strength and pelvic floor give Triangle Pose a try! Stand with your feet about five feet apart and turn your right foot so that your heel aligns with the left foot. Keep your hips facing forward and extend your arms out to shoulder height. Once you’ve achieved this extend your torso over your right leg and place your right hand next to your right ankle. Make sure your left hand and arm are extended toward the sky. As with all yoga poses, make sure you repeat the exercise on the other side! The mental benefits of yoga can also be extremely helpful during those first few weeks as a new mom. It’s a challenging time full of exciting but overwhelming experiences. The emphasis that yoga puts on simultaneously moving with a breath helps to calm the brain which can benefit both baby and mom! As much as you love your new baby, they still require a lot of patience. A consistent yoga practice can help instill more patience in a new mom so you can feel more relaxed when trying to figure out why your little one won’t stop crying! Yoga is a fantastic way to safely rebuild your strength after giving birth. Be sure to always consult with your doctor first before beginning exercise. Yoga cannot only rebuild you physically but also help you mentally during those tough first weeks or months! Remember that it’s important to take care of your little one but you also need to take care of yourself as well!